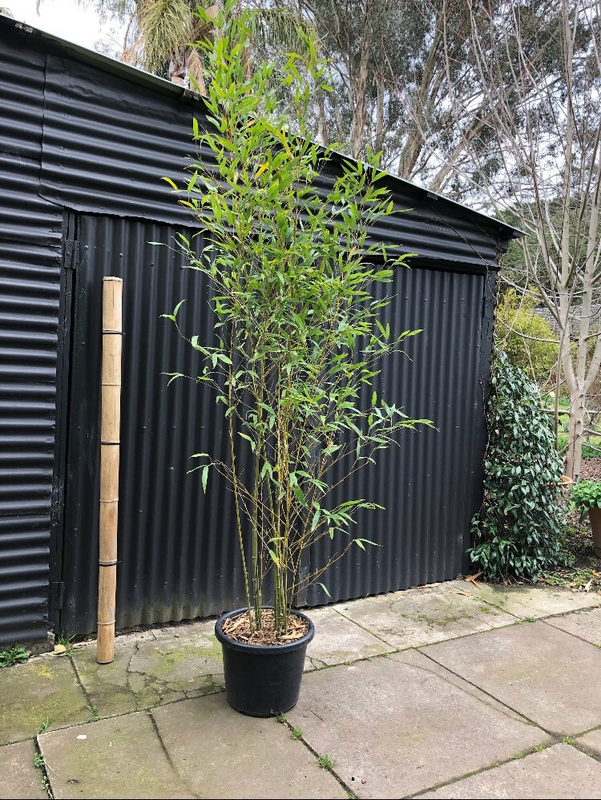 Running Bamboo is a stunning option for Ornamental applications, they grow from a lateral rhizome and for this reason they are best grown in containers. 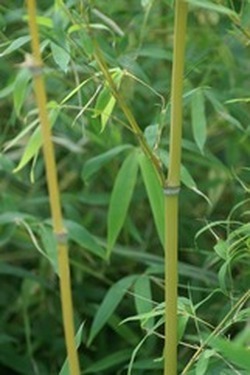 Description: One of the most commonly cultivated bamboos in the world. 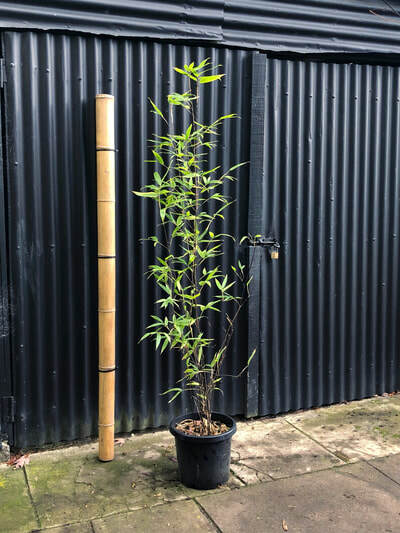 The new culms start off Green, if it is growing in a filtered light aspect they will remain this colour, if growing in full sun older culms will turn a Golden yellow hue which provides the source of inspiration for it's two common names. Green/ Golden bamboo makes a good looking screen and an excellent potted plant, however a root control barrier is recommended if planted in the ground. * Pot sizes: plants are photographed in front of a measuring culm 1.8mtrs in height, with black tie intervals every 500mm, and reflect the average dimensions for the particular price. 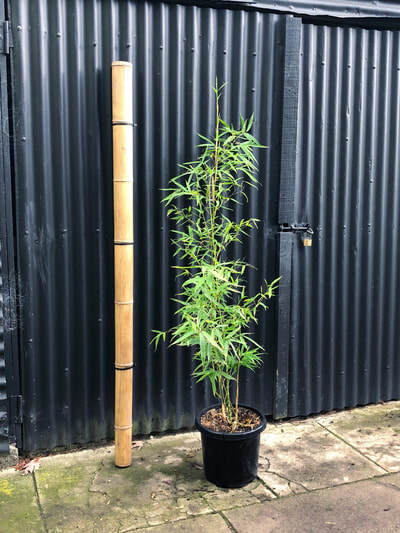 There are some variants between plants. Description: The culms and branches are at first dark green, turning to a deep solid black. 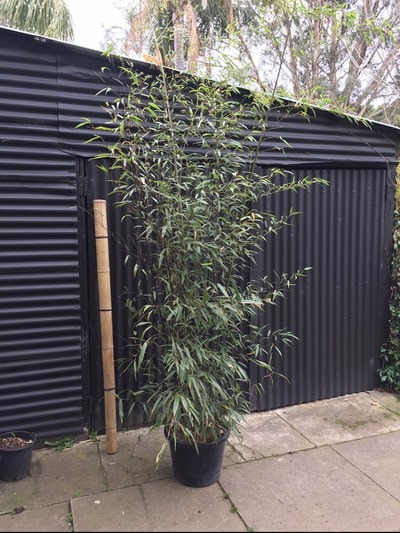 The green leaves contrast strikingly with the jet black culms. This plant makes a stunning potted specimen and looks nice anywhere in the garden. 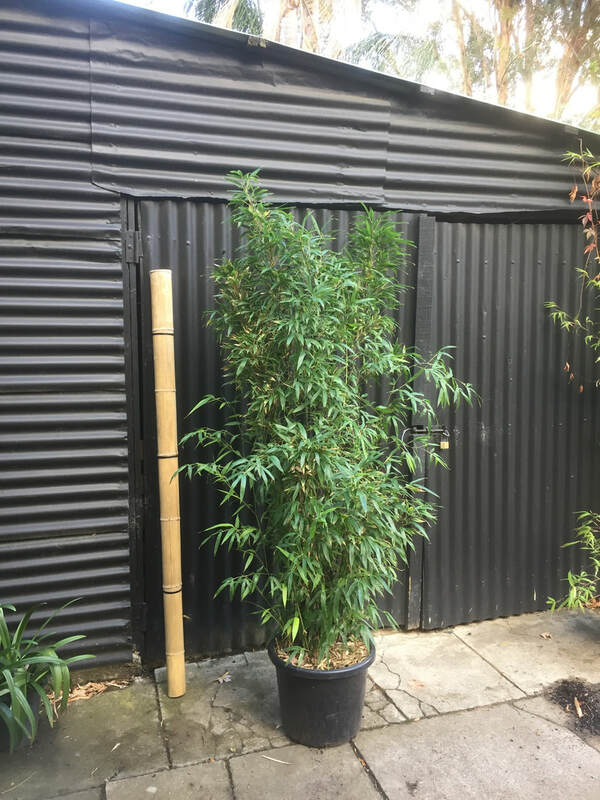 Also makes a good screen between neighbouring properties. 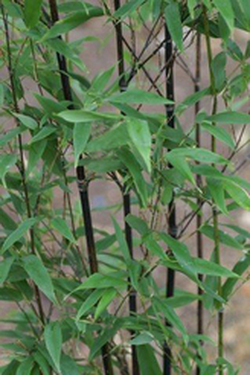 Black bamboo requires a root control barrier when planted in the ground. Description: This species originates from Japan, Yasha is the name of a female demon. 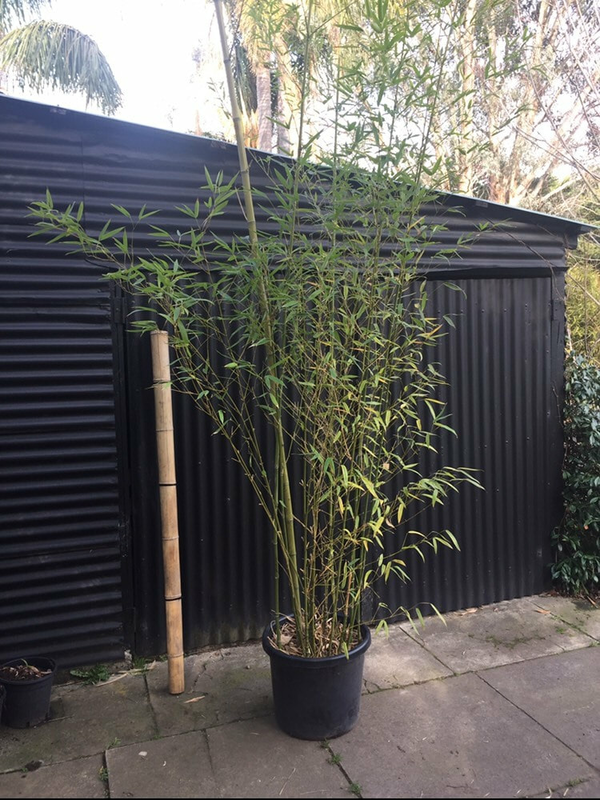 As this bamboo matures it's culms go from a variegated yellow to blood red. 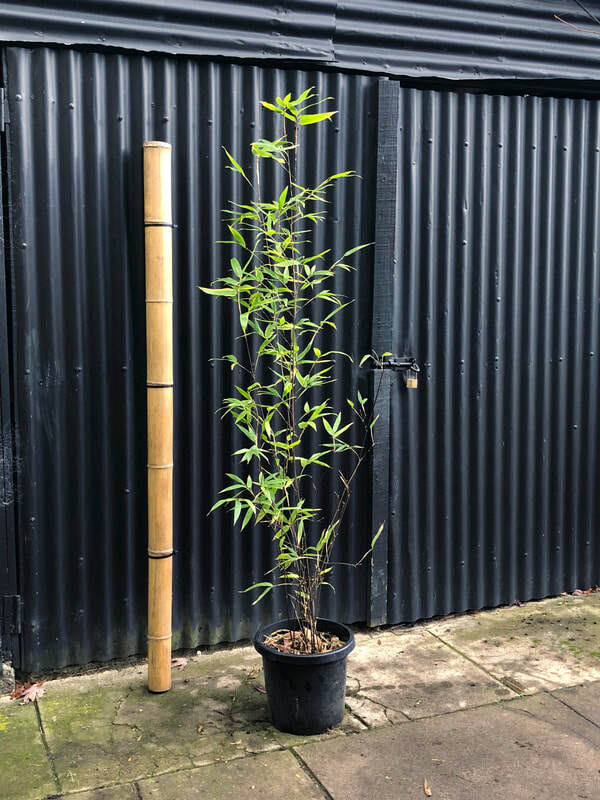 Red Cane bamboo can serve as a lush and fascinating screen.